Ah! It has been two months. Definitely due for an update. I’ve been lax about posting recordings from past performances, so here are some to catch us all up. And if that’s not enough, be sure to check out the newly renovated Events page for upcoming events and some media from old ones. Lastly, I’m very excited to have written a new score to D. W. Griffith’s 1912 silent film, The Female of the Species. 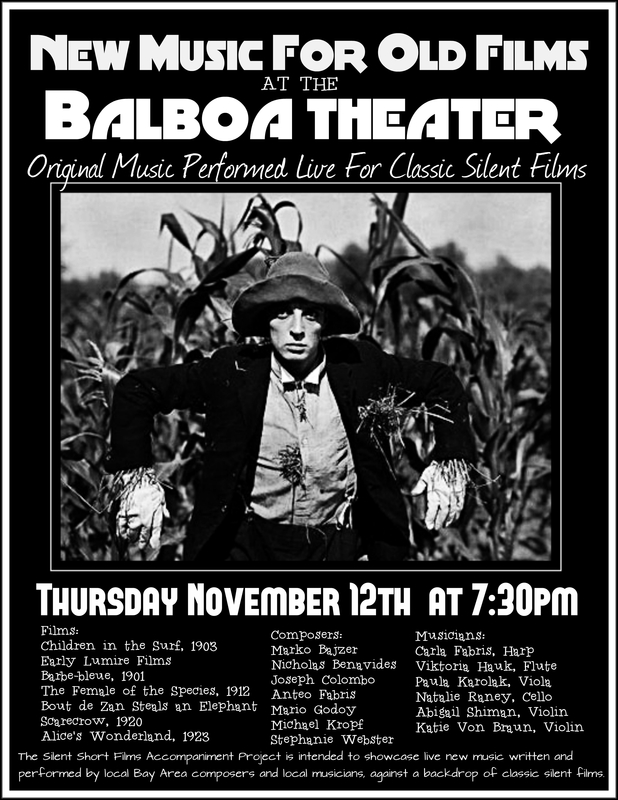 Come check out the Balboa Theater on Nov. 12 to see it performed lived with the film. Plenty of things on the horizon. Until then.